This is the second project in our #SBIDinspire series featuring finalists from the SBID Awards to showcase our talented members and subscribers. SBID interviews the imaginative minds behind the projects to give an insight into their creative process and how they tackled some of the industry’s biggest and best projects. Entries to the SBID Awards 2017 are now open and accepting your submissions, to find out more and enter Click Here. This private client sought an impressive boutique hotel quality in this family home intended for use for just a portion of the year. 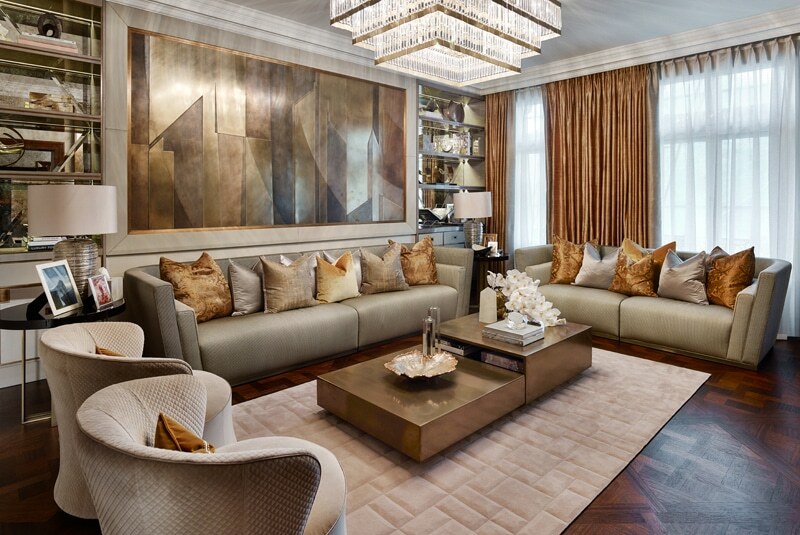 Specific elements of the brief were to retain the existing wardrobe joinery and refurbish it, and the art was to be sourced post-completion to complement the design scheme. 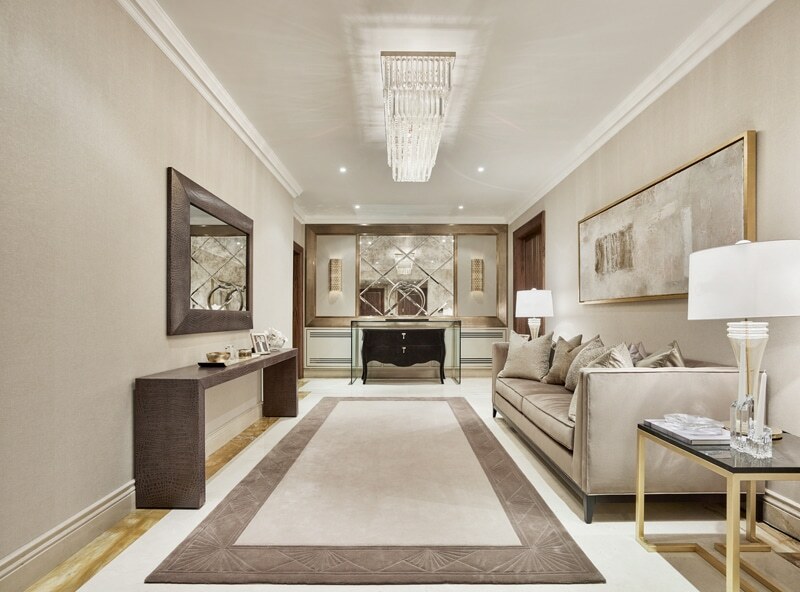 Overall this brief was a uniquely open one, with the client placing their trust in Elicyon to create something magnificent through a refurbishment harmonious with the grand mansion building. 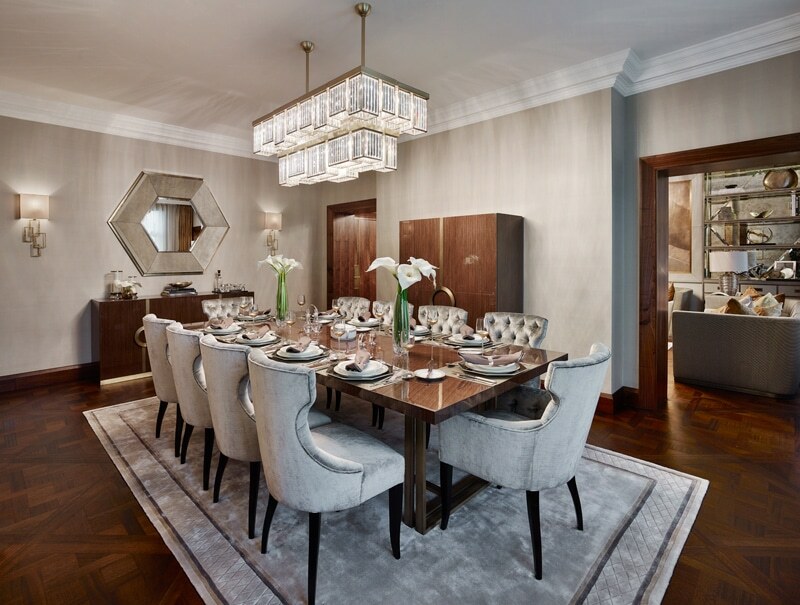 Located in an iconic and grand mansion block in Bayswater, Elicyon undertook the refurbishment of this apartment and created an exquisite finish to superlative standards in line with the building style. 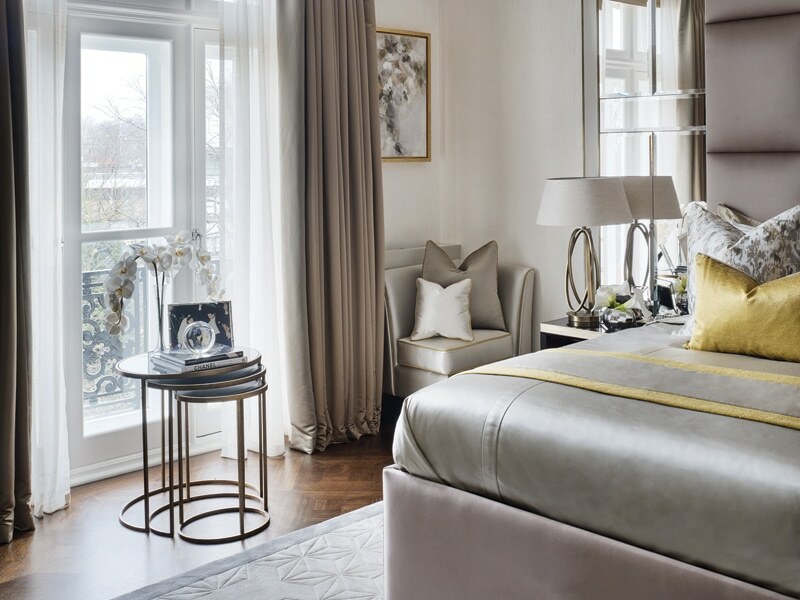 The combination of breath-taking views over Hyde Park and an interior dominated by a sophisticated, subtle colour palette of dove greys and sumptuous, soft metallic materials make this four-bedroomed apartment a testimony to luxurious city living. Working with the existing base build of the property; we inherited the wardrobes for example, which were finished in a dark mahogany. 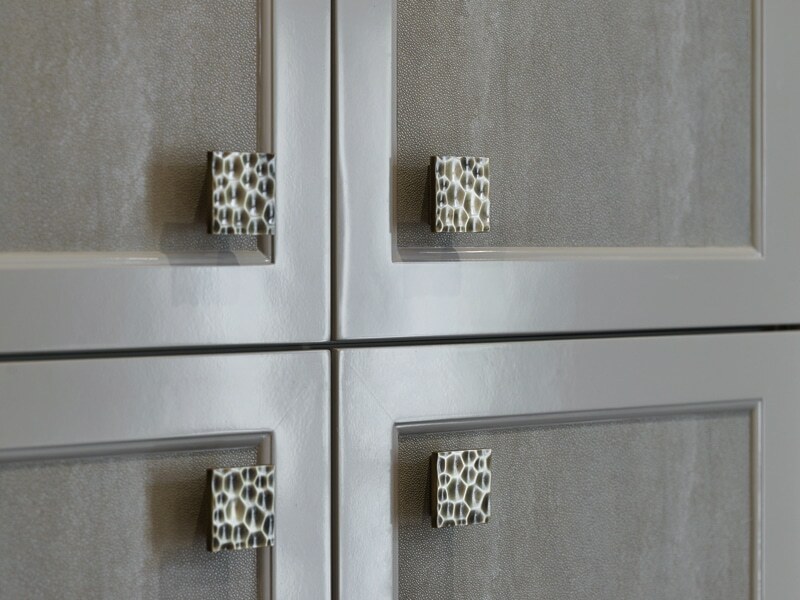 To integrate them into the scheme we had them spray painted, adding a shagreen wallpaper inlay and bespoke hammered metal handles, thus cost effectively transforming them. 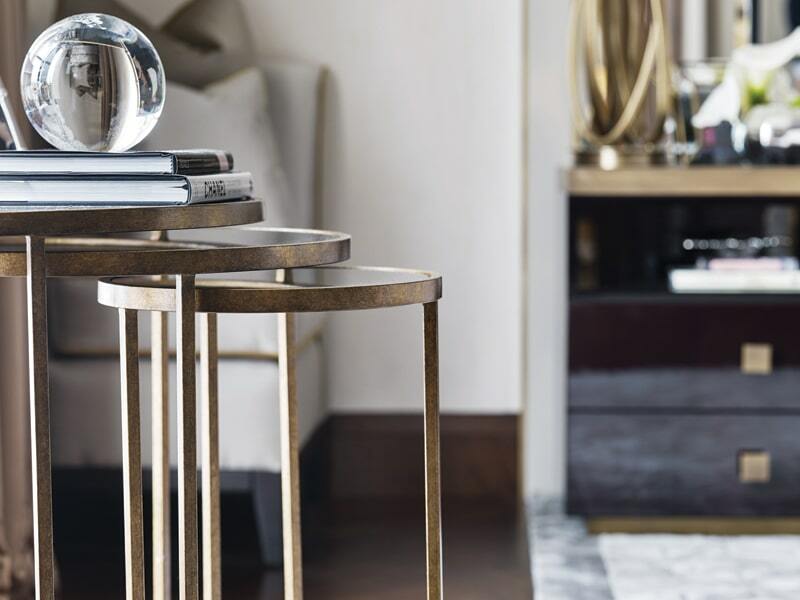 The brief was met through an adept combination of sourcing the finest materials and designing bespoke furnishings to create a truly exquisite finish. 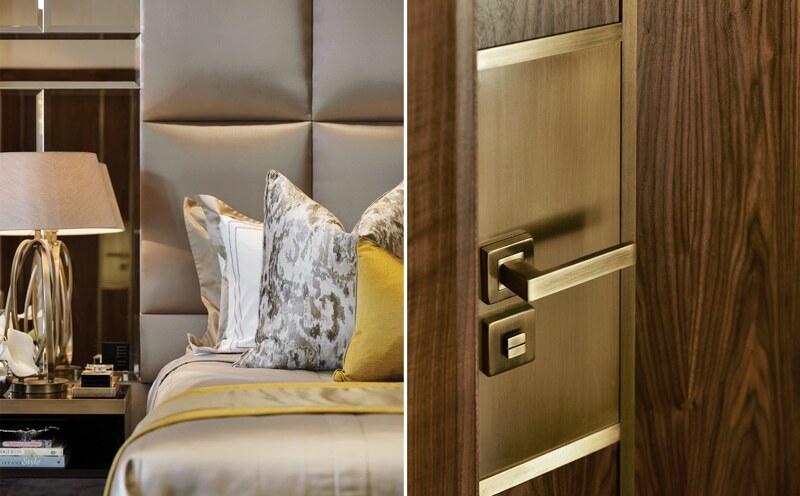 The exclusivity of the property culminates in the bespoke artwork, specially commissioned and individually handpicked to complement the shades of the colour palettes. 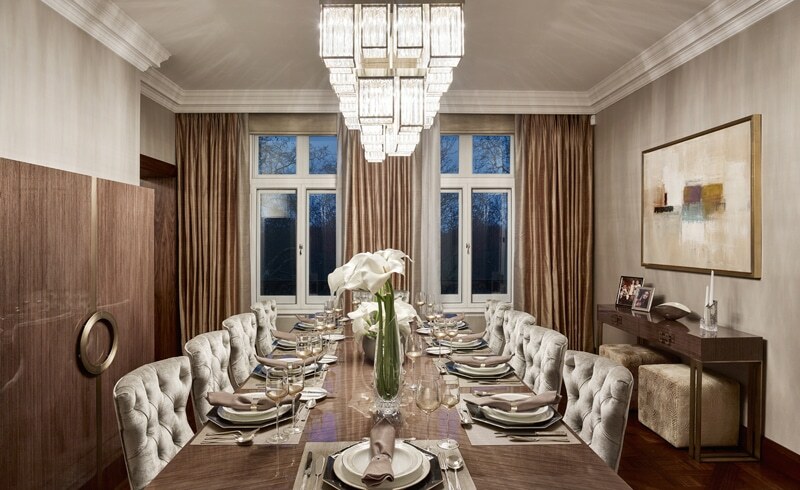 The team particularly enjoyed designing the customised furniture to complement the space and layout. 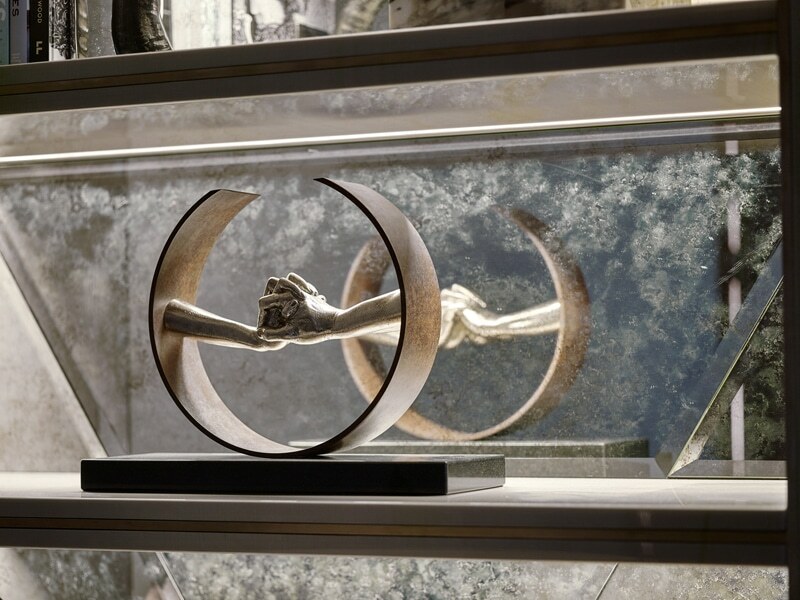 We see gaining recognition in the awards as an accolade, as the SBID International Design Awards has firmly established itself as one of the most prestigious events in the design industry calendar.